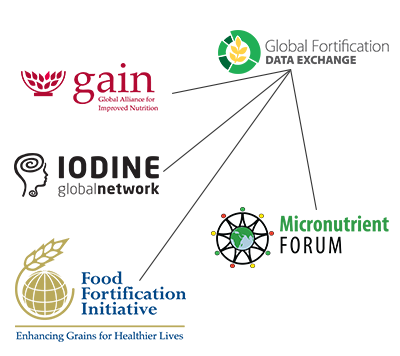 Global Fortification Data Exchange | GFDx – Providing actionable food fortification data all in one place. 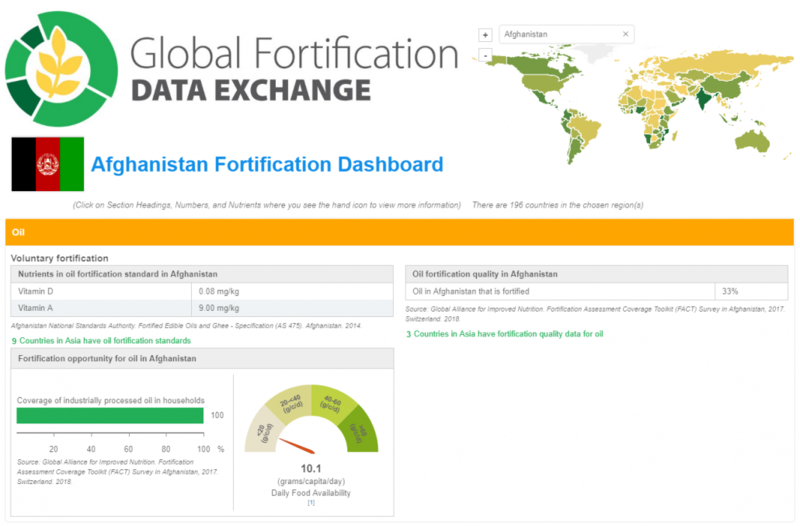 INTRODUCING GLOBAL FORTIFICATION DATA EXCHANGE (GFDx) VERSION 2 WITH EXPANDED DATA AND NEW INDICATORS AND VISUALIZATIONS. The GFDx has expanded our suite of indicators and data visualizations. 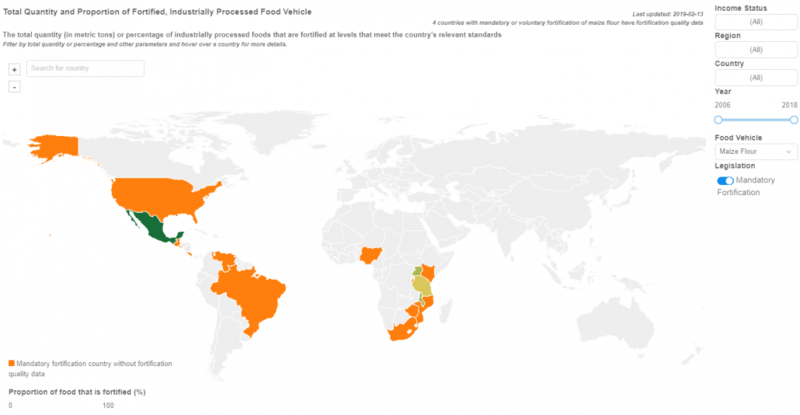 The GFDx now has interactive maps, charts, and plots for legislation scope, proportion of foods industrially processed, availability of regulatory monitoring protocols, fortification quality, and population coverage. 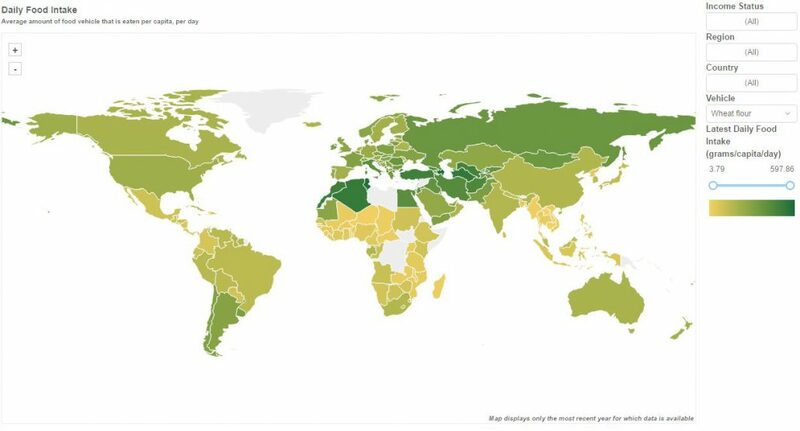 Explore the new indicators and data visualizations on the Data page! To see the V2 press release, please visit the Media Center. 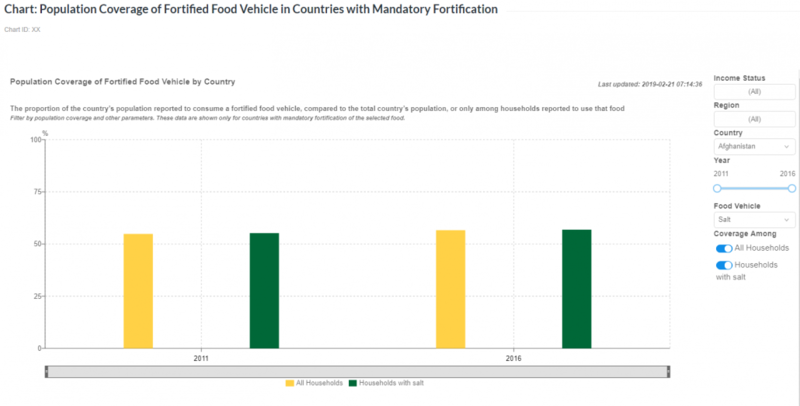 Welcome to the GFDx, an analysis and visualization tool for data on food fortification. Food fortification adds essential vitamins and minerals, called micronutrients, to commonly consumed foods to prevent nutritional deficiencies. We call these commonly consumed foods that can be fortified food vehicles because they “deliver” nutrients. Food fortification is one of the most scalable, sustainable and cost-effective interventions to combat micronutrient malnutrition. Vitamin and mineral deficiencies affect people globally – impacting their health and limiting their ability to contribute to the economic well-being of their communities and countries. 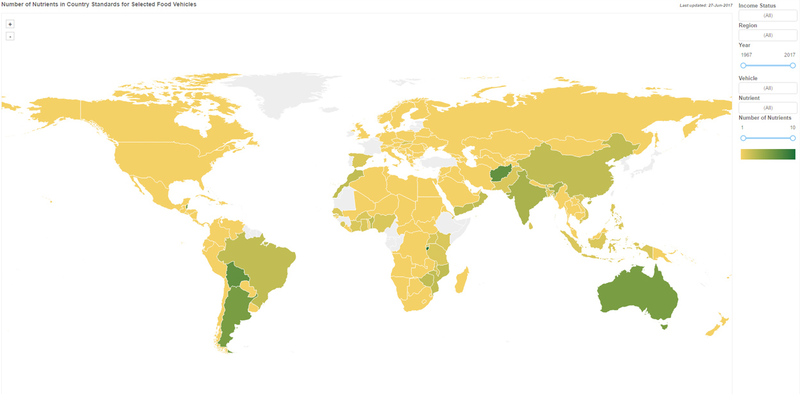 Designed for, and by the fortification community, the GFDx provides all the data necessary to track global progress on food fortification, and to enable decision makers to use data to improve the quality of national fortification programs. 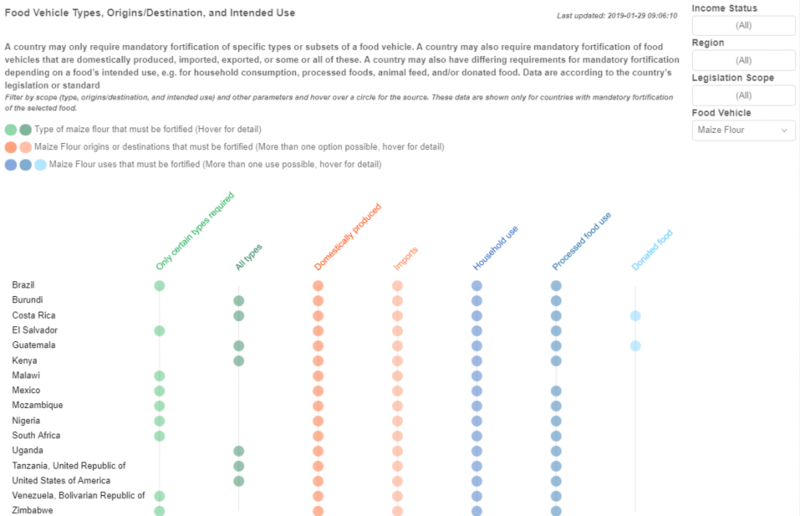 The GFDx aggregates and visualizes data on five commonly fortified foods: maize flour, oil, rice, salt, and wheat flour. The GFDx includes indicators on food fortification legislation from 1940 to present, fortification standards, and food availability and intake, legislation scope, proportion of foods industrially processed, availability of regulatory monitoring protocols, fortification quality, and population coverage for 196 countries. Within the GFDx site, you are able to generate custom maps, charts, tables, and plots or download data for offline analysis. The GFDx will be continuously updated as new data and information become available. Get in touch to share your experience with the GFDx, contribute your data, or learn how to get involved. Sign up to receive updates as new data and features are added. Suggested Citation: Global Fortification Data Exchange. [Accessed dd/mm/yyyy.] http://www.fortificationdata.org. 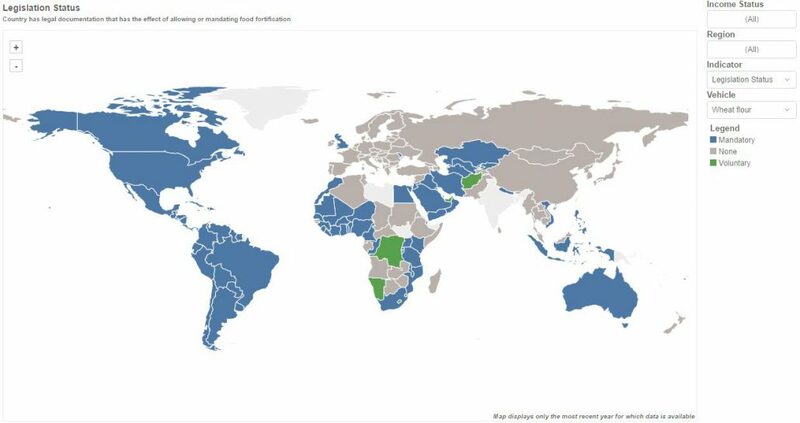 The Global Fortification Data Exchange (GFDx) is an online tool, which provides unparalleled access to critical data on food fortification, all in one place, as well as tools to aid in analysis and visualization. 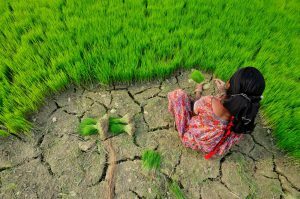 How many and which countries require the mandatory fortification of maize flour, oil, rice, salt, or wheat flour? In countries with legislation standards, what nutrients are required to be included in fortified foods? 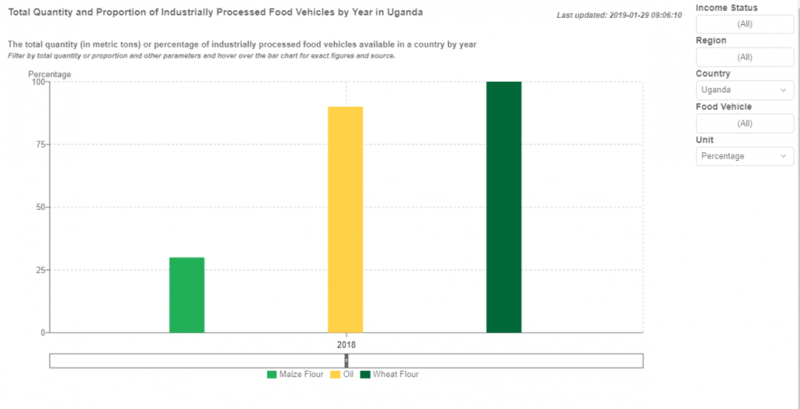 How much maize flour, oil, rice, salt, or wheat flour is available or consumed in a given country? What proportion of maize flour, oil, rice, salt, or wheat flour is industrially processed and hence able to be fortified? How much of the food consumed in a given country is fortified at levels that meet the country’s standards? 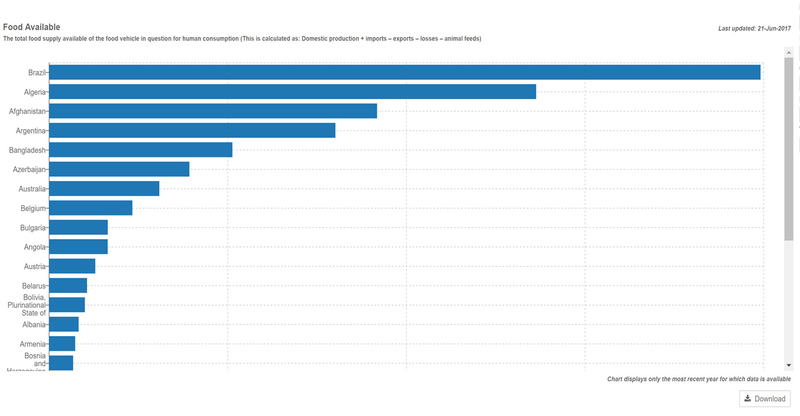 What proportion of a country’s population is consuming fortified maize flour, oil, rice, salt, or wheat flour? All of the data in the GFDx comes from countries and national programs. Some had already been compiled globally, but in independently managed, separate databases for each food. Other important food fortification data only exist in national databases. 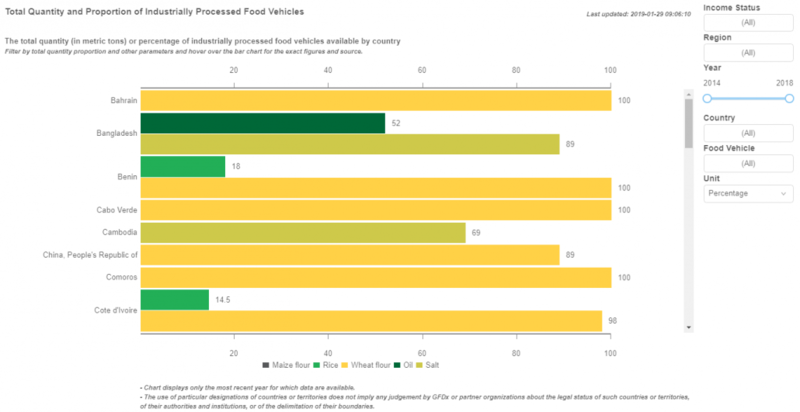 Consolidating available data for all five foods allows national decision-makers to more holistically view their fortification programs, identify gaps, and make comparisons across foods and between countries. Importantly, compiling national and global data and consolidating data sets across standardized indicators reflects the need for a collaborative and crosscutting partnership in fortification in order to improve diets globally. 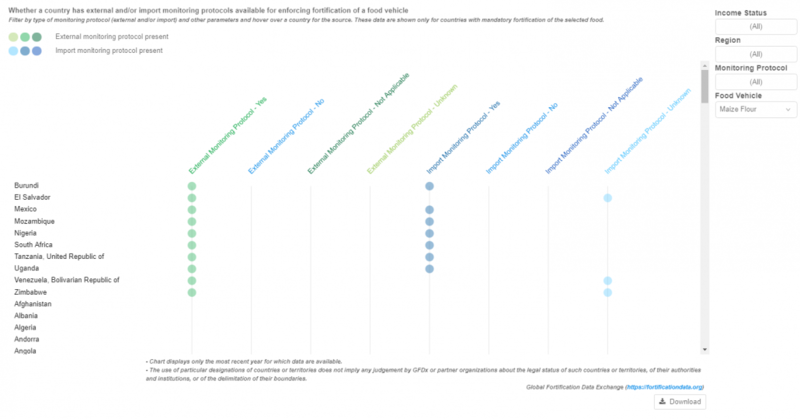 Designed by the fortification community, the GFDx relies on the cooperation of both providers and users of data to help reach our aspiration for an improved data landscape in food fortification. The GFDx is brought to you by FFI, GAIN, IGN and the Micronutrient Forum. 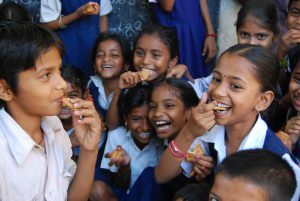 Developed as a joint effort by the Food Fortification Initiative (FFI), Global Alliance for Improved Nutrition (GAIN), Iodine Global Network (IGN), and Micronutrient Forum, the GFDx represents a significant step forward in the effort to improve the availability, stewardship and presentation of fortification data. From non-profit organizations to government to private industry, a broad range of actors must come together for fortification programs to be successful. 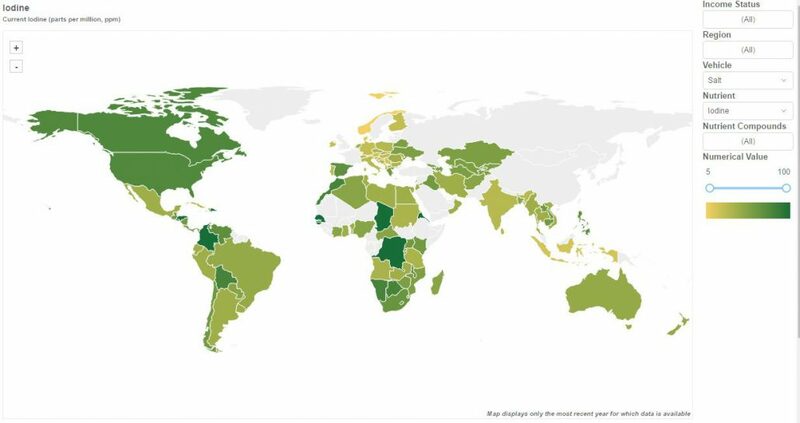 As more countries begin to adopt food fortification programs, these stakeholders raised a call for better data accessibility to inform policy and identify populations in need, formalized in the 2015 Arusha Statement on Food Fortification. We would like to acknowledge the Global Fortification Technical Advisory Group (GF-TAG) for their contributions to the launch of the GFDx, including providing technical input and feedback on the development of core indicators. We believe that better data transparency can drive better outcomes by supporting informed programs and effective policy. We encourage governments, nongovernmental agencies, program implementers, donors, academia, and private sector to commit to greater data transparency and coordination to ensure that food fortification programs are optimally implemented for the populations who need them most. If your government, agency, institution, or company would like to contribute data to the GFDx, we want to hear from you! We will take data contributions on any one or more foods, any one or more countries, and in any language. Please contact us by using the form below. Whether you want to share your experience of using the GFDx, contribute data, suggest improvements to the GFDx, or provide any other comments and feedback, please contact us to join the discussion. 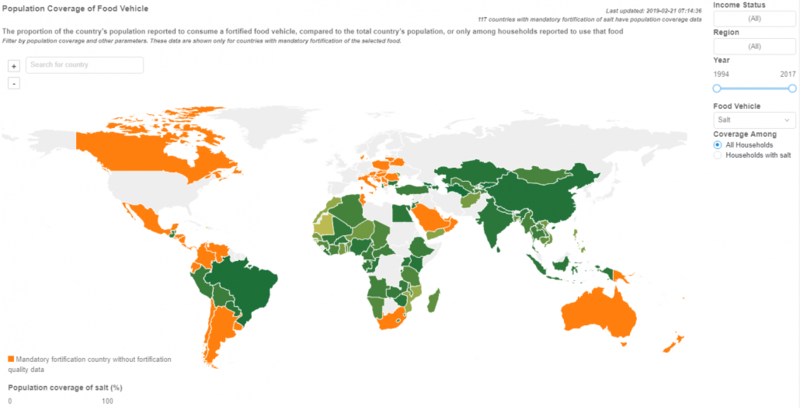 What information is available on food fortification in your country? 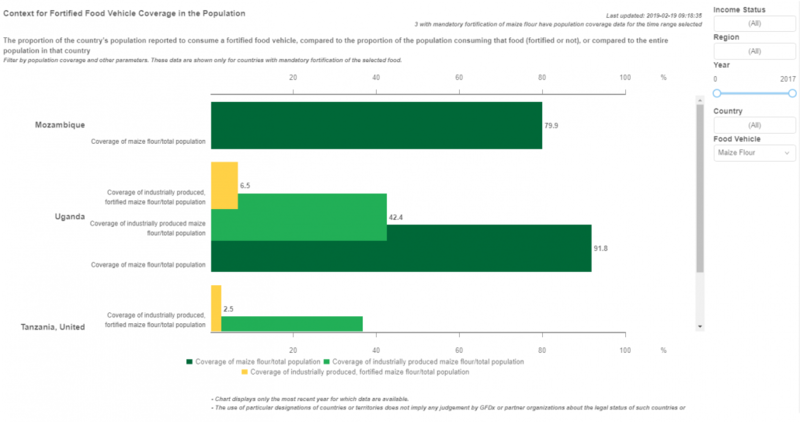 How many people eat fortified food (coverage)? How closely do fortified foods align with country standards (quality)? 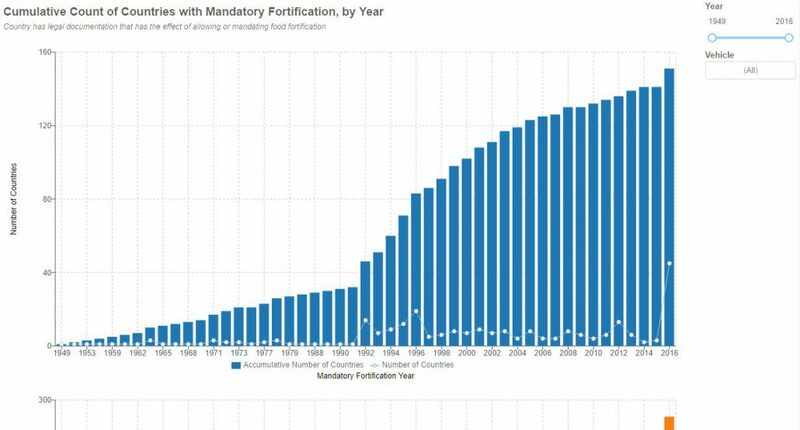 Join us for a webinar to learn how to find this, and other fortification information, on the GFDx website. Fill in the below form to indicate your interest and we will email you with upcoming dates and times.